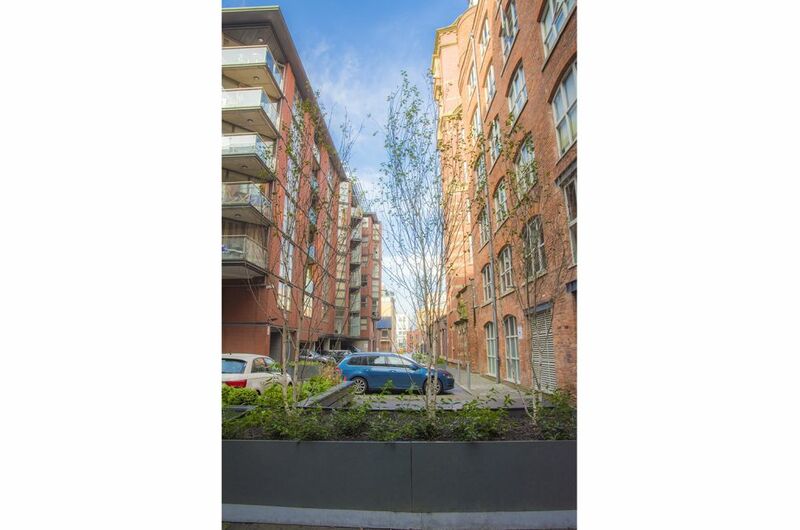 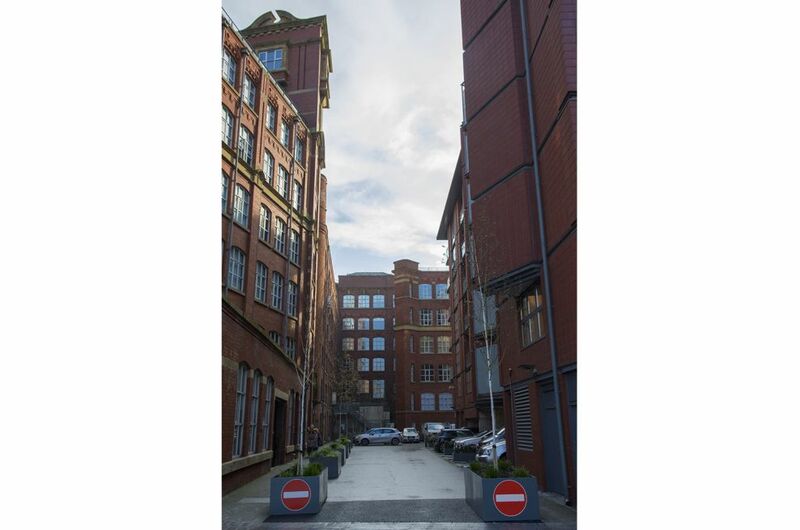 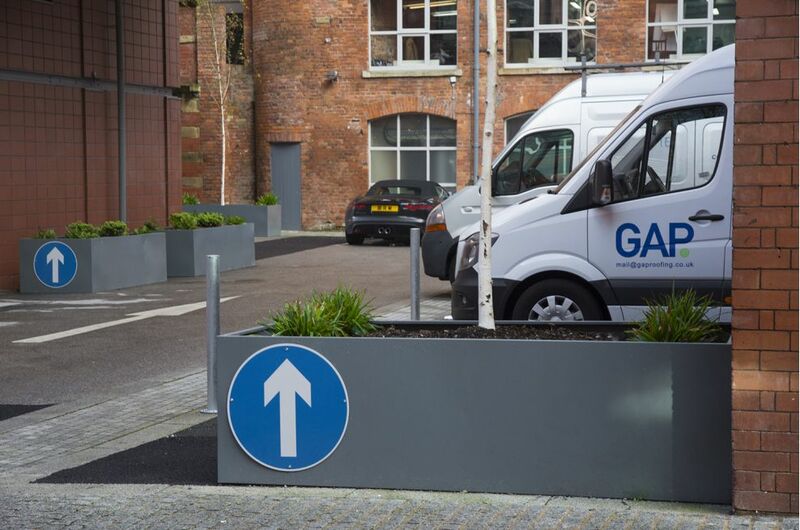 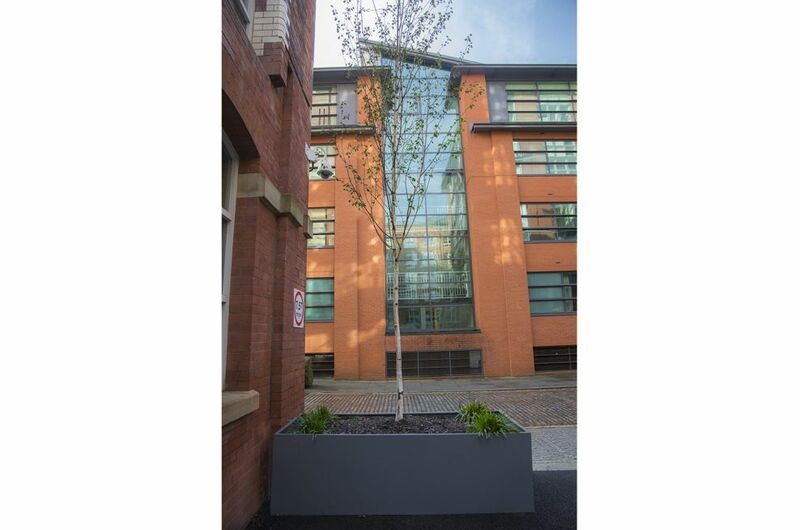 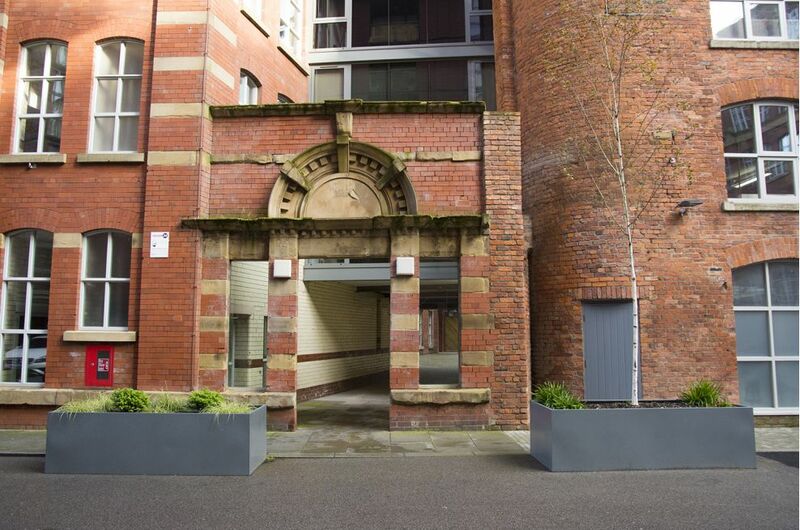 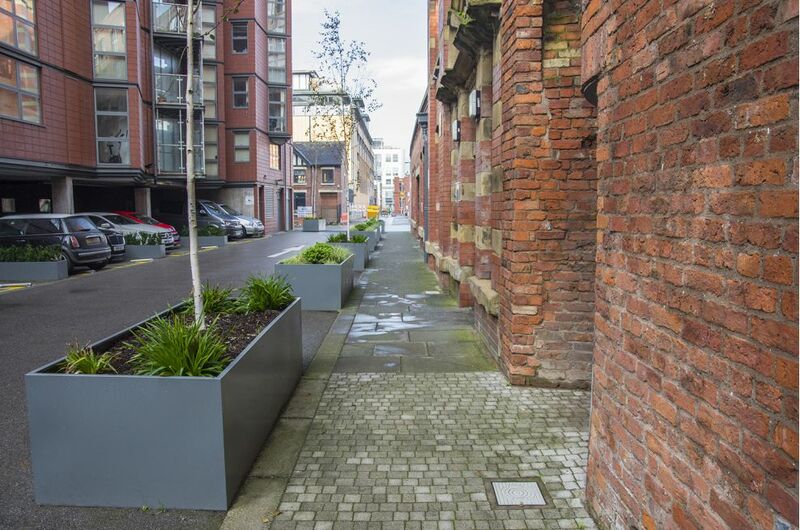 Bespoke powder coated steel planters were supplied to Royal Mills, in the heart of the historic Ancoats Urban Village conservation area of Manchester. 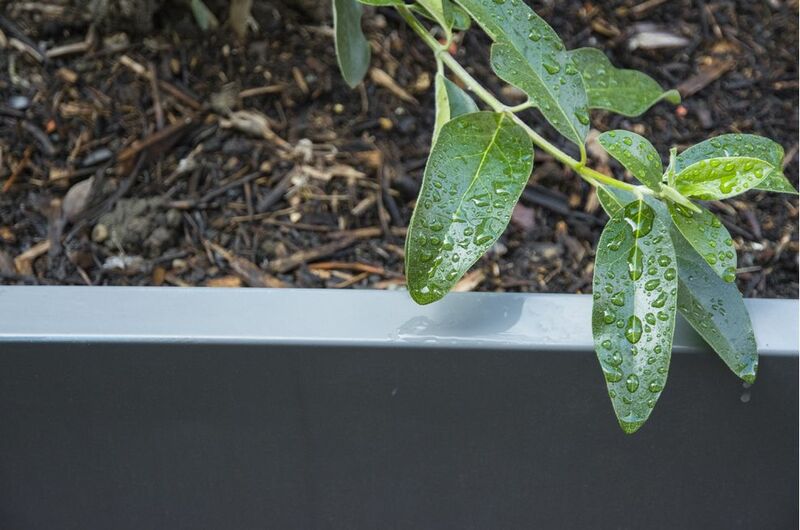 IOTA supplied 16nr. 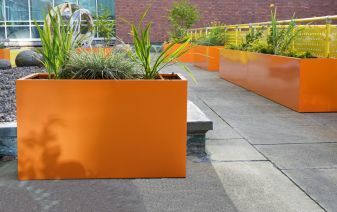 large rectangular planters, of varying dimensions from: L 1800 x W 400 x H 400mm, to L 2400 x W 1000 x H 700mm, to the largest at L 4800 x W 2000 x H 700mm. 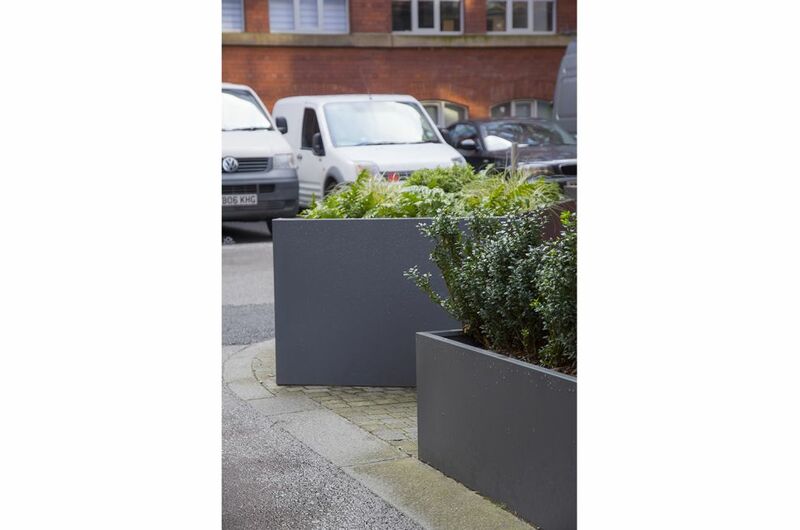 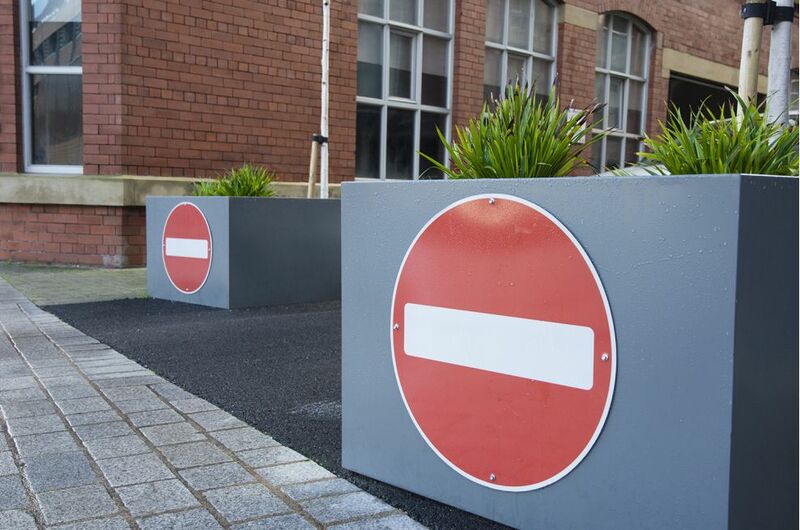 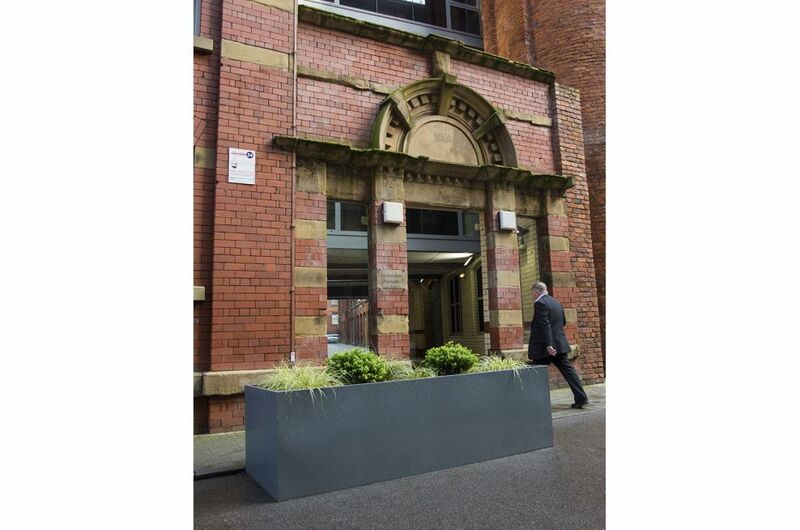 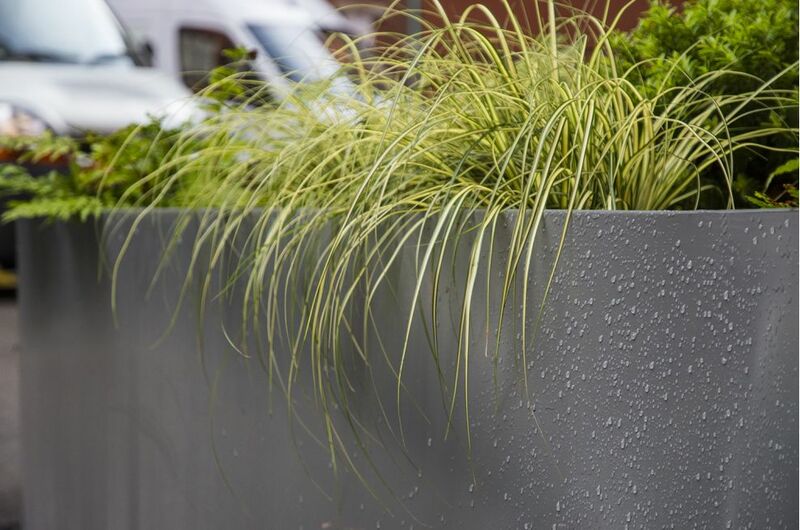 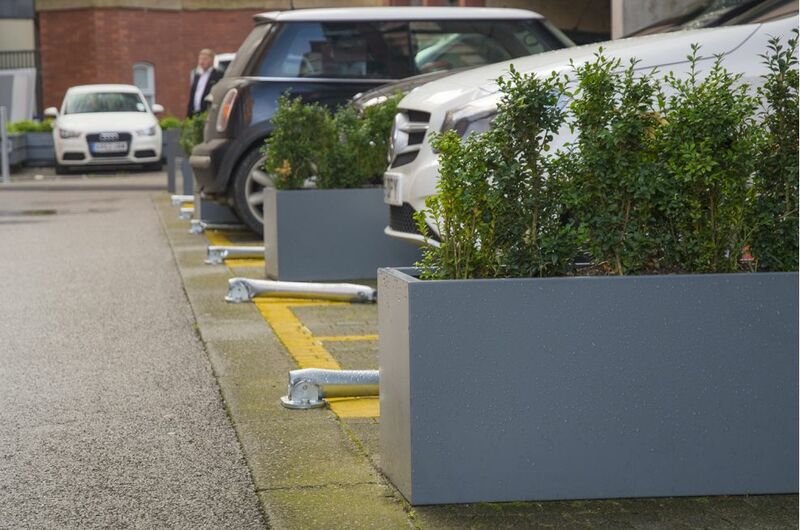 The planters were manufactured from 1.5mm thick Zintec steel, powder coated to RAL 7012 [Basalt grey]. 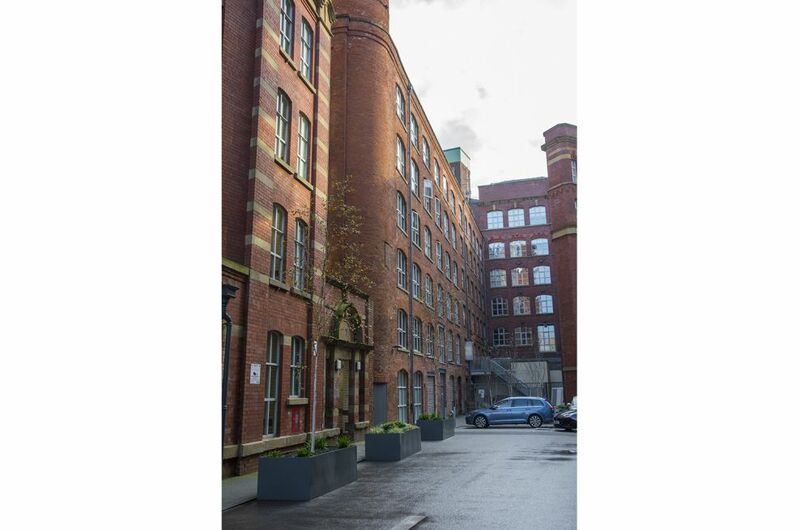 Royal Mills are a collection of listed Victorian and Edwardian former spinning mills in the heart of the Ancoats Urban Village district of Manchester, representing a priceless record of the city’s cotton industry heritage. 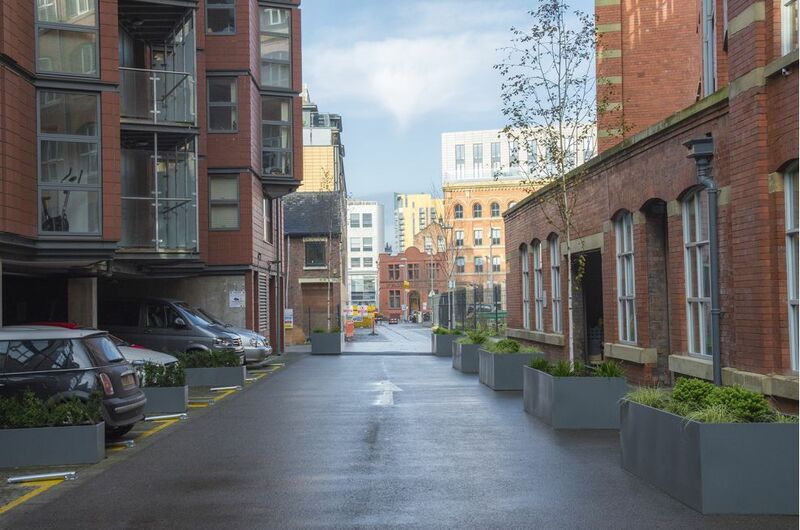 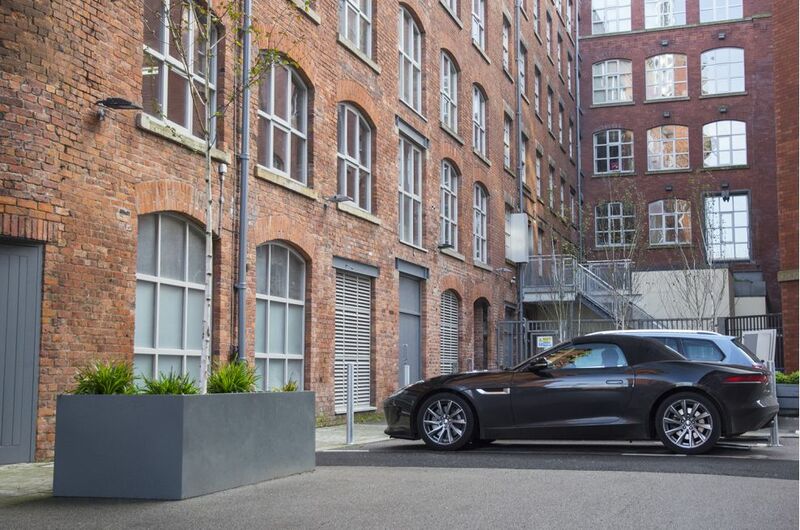 The area has undergone comprehensive mixed-use regeneration in recent years; and IOTA’s planters were commissioned as part of the recent release at Royal Mills of 120 luxury apartments by developers Renaker.